You should secure your child's birth certificate as soon as possible after the child's birth, to establish documentary proof of paternity and to perform other legal acts on behalf of your child, such as getting a Social Security number and applying for a passport. Most states will not automatically mail your child's birth certificate to you after the child is born--you will have to apply for it. Although state laws vary, the basic procedures for obtaining a birth certificate are similar in all states. Find the website of the state government entity that issues birth certificates. This entity is called the Office of Vital Records in many states. It may be a subdivision of the Department of Public Health. 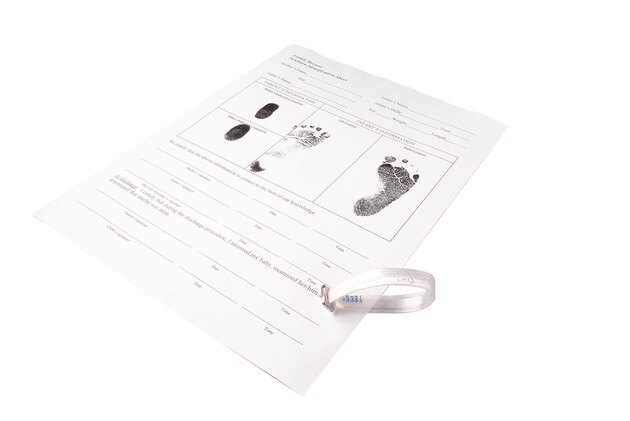 Download a birth certificate application from the state office of vital records. Some states offer certified copies and informational copies. Because an informational copy is not a legal document, download an application for a certified copy if there is more than one type of application available. Complete and sign the birth certificate application. You will be asked to provide information such as your name, your maiden name, your child's name and birth date, the name of the other parent, and address where you want the birth certificate sent, according to Sutter Health. You may also have to list the county and hospital of your baby's birth. Photocopy your government-issued photo ID and proof of your parenthood, such as an adoption decree or a court declaration of paternity. If you are named on the birth certificate, you will probably not have to provide proof of parenthood. Check your state's website to see if any other documentation is required. Deliver the birth certificate application and supporting documentation to the state government entity that issues birth certificates. Some states offer same-day service to walk-in applicants. You may also mail in your application. Some states allow you to apply online, but you will still have to mail in the supporting documentation. VitalChek.com handles birth certificate applications online. Pay the application fee. If you walk in to the office, you can probably pay the filing fee in cash. If you apply by mail, you will need to prepare certified funds, because most states do not accept personal checks. If you apply online, you may be able to pay by credit or debit card. If you are an unmarried father whose name does not appear on the child's birth certificate, you may have to have the birth certificate amended before you will be entitled to receive a copy. Some states require you to wait a few weeks after a baby is born to apply for a birth certificate.